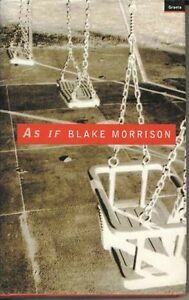 Blake Morrison attended the 1993 trial of two 10-year-old boys in Liverpool, England, who were accused of killing a 2-year-old; he wrote about the case for the New Yorker. Three years later, the case was still haunting him, so he returned to the subject to examine its impact on a more personal level. An utterly uncomfortable read, and not in the way I was expecting. In 1993, Morrison was tasked with attending, and reporting on, the trial of Thompson and Venables. As any human would, he was desperate to find out the reason why. That, in fact, was the main reason I picked this up, as I imagine would be the incentive for anyone reading this - what could possibly have driven two ten year olds to commit such a deplorable crime? As I had already subconsciously assumed, no why is provided in Morrison’s commentary; no why ever seems to have been found. Instead, he documented facts of the crime, the trial, and the criminals, and chose to pepper alongside these some anecdotal whims from his own life. I found these largely unnecessary. The book began well and engaged me, until Morrison’s sympathy for Thompson and Venables shone through more clearly. He makes no secret of this, and puts forth arguments on how both children were hard done by - tried in an adult court, raised in violent or emotionally abusive households, exposed to films targeted to much older people, etc. He argues a lesser verdict, or lesser sentence, would be more appropriate. He suggests we would live in a brighter world should society move from current lynch mob attitudes, to a far more liberal and therapeutic retribution for criminals. When it comes to a beaten two year old, who has been subjected to terrors we cannot even begin to imagine, I beg to bloody differ. It’s a serious look at both the Thompson and Venables families, casting light on past abuse, sympathising with both sets of parents, and painstakingly making a case for their veneration. Although I can also sympathise with the parents to a degree (how do you come to terms with having a killer as a son? ), the sympathy for the Bulger parents was clearly lacking. Coming from the same types of backgrounds as the Thompson and Venables parents, the Bulgers weren’t given the same care. Morrison grotesquely criticised Denise in particular, and at one point made uncomfortable comments on her outfit choices, which almost felt like a fervour of fetish. For James himself, no remorse was overly apparent. Yes, Morrison had a few dreams about him (how sick I became of reading of his insipid dreams), and mentioned him a few times in an attempt to reestablish some humanity to the essay. But nothing rang true. Morrison’s sympathies lay with the killers, and only the killers, not the little boy who lost his life, not the complete trust he put in two strangers only to have his trust mercilessly broken, and not the guilt and heartbreak of a woman who was only permitted two years with her beautiful son. Morrison also makes disturbing comparisons between the crime, and children's games, in an attempt to suggest Thompson and Venables were too young to realise what they were doing. In a macabre and unsettling description of himself as a child playing doctors and nurses with friends, he argues children are merely exploring bodies without the prior knowledge of sexuality. Exploring bodies and ending the life of a body are completely different things. This was such a distasteful and harrowing point to even attempt to make. And, towards the end, we soon discover where Morrison’s sympathies come from. As he admitted to a sordid act he took part in during his own adolescence (similar to doctors and nurses, only far more unacceptable), the bile raised in my throat and it took all of my willpower to reach the last page. Morrison is sympathising with James Bulger’s murderers in a horrific attempt to absolve himself of his own sins. Call me No-Heart (many have), but if you harm a child, you pay the price. Any attempts to justify will only do greater injustice to those already hurt by the crime. A disgusting attempt to make excuses for two boys who committed one of the most vile atrocities in our lifetime.